The cold bites in New York. That’s what Alma Sinumlag felt when she visited the Big Apple for the first time ever in 2018. Having spent 24+ hours on a plane from Manila, Philippines, what struck Alma the most when she reached the US was how inclement the weather was, despite it being March, a month where supposedly the winter gives way to spring. “The thought that it was snowing in spring is a concrete manifestation of climate change and those who are responsible for this erratic condition have their offices in the US,” said Alma. 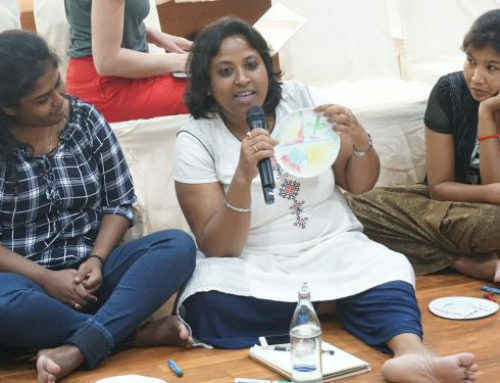 Alma is a member of Asia Pacific Forum on Women, Law and Development (APWLD), a leading network of feminist organisations and individual activists in Asia Pacific. Alma is one of our 236 members representing groups of diverse women from 27 countries in Asia Pacific. Over the past 32 years, APWLD has actively worked towards advancing women’s human rights and Development Justice. Alma was in New York to attend the 62nd Session of the Commission on the Status of Women (CSW62) at the United Nations Headquarters. She represented APWLD and her organisation in the Philippines, the Cordillera Women’s Education Action Research Center (CWEARC). Alma is from an indigenous community in the Cordillera, a mountainous region in the northern part of the Philippines. She has been the Research and Publication Coordinator of CWEARC for the past six years, an Indigenous Peoples’ movement that works with the women and youth to harness their collective power and assert their rights as indigenous people and as women through basic documentation and collective actions. “We do capacity building for indigenous women in the communities by documentation and using the data as a tool for advocacy. 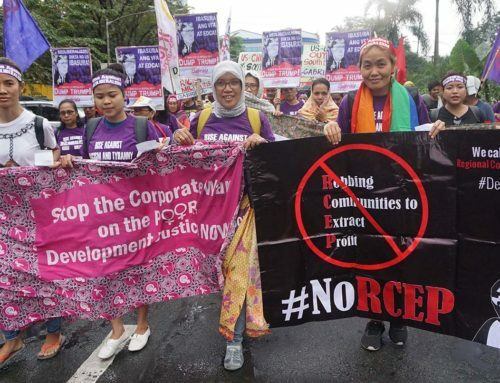 The work entails most of my time working with the communities, especially those affected by corporate projects and militarisation,” Alma said in an interview to APWLD. It wasn’t an easy journey for Alma to make it to the CSW meeting with the arbitrarily strict visa screening to enter the US. “My visa was denied the first time I applied so I was anxious about what questions would the immigration officer ask. I had heard enough stories of other people’s experiences of being held at the immigration and it would be a huge hassle and stress if I underwent the same ordeal,” she said. 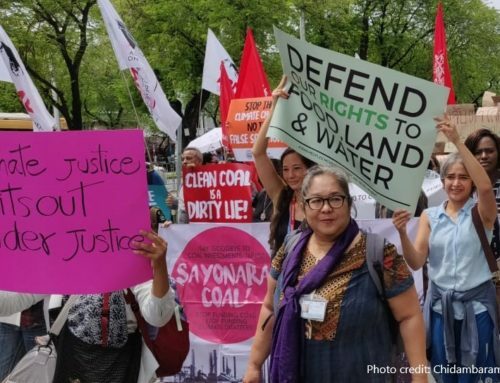 Being a women rights and environmental rights defender is not easy for Alma, especially in times of political upheaval under the authoritarian rule of President Duterte. Political dissenters and human rights defenders are constantly harassed, threatened and even murdered in the hands of the military. 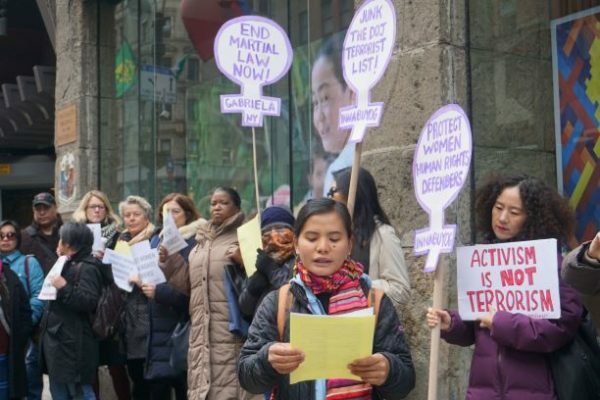 The alarming statistics are rising with 196 extrajudicial killings, 415 cases of political detention under trumped-up charges, and over 70,000 cases of harassment, threats and intimidation against women human rights defenders under Duterte’s regime. Almost every possible regional and international human rights avenues have been exhausted but the government has decided only to either ignore recommendations from those processes or harshly suppress dissenting voices and peoples’ resistance calling for human rights, justice and accountability. Alma, however, believes that through peoples’ organising, mobilising and solidarity support, structural barriers can be overcome. Alma and her organisation have been actively advocating for the use of research to build a collective movement that challenges power structures. She participated in APWLD’s Feminist Participatory Action Research (FPAR) training from 2012 to 2014, to learn new tools and knowledge to strengthen her work on the ground. Her research focused on indigenous women’s movement in the Philippines that questioned why ‘development’ always involved soldiers defending ‘development projects’. At that time, multinational oil company Chevron had threatened to move in to build a geothermal energy plant in Kalinga, Philippines. State armed forces were deployed to secure company assets, the result of which culminated in a number of women being threatened, harassed and intimidated by military personnel in the area. 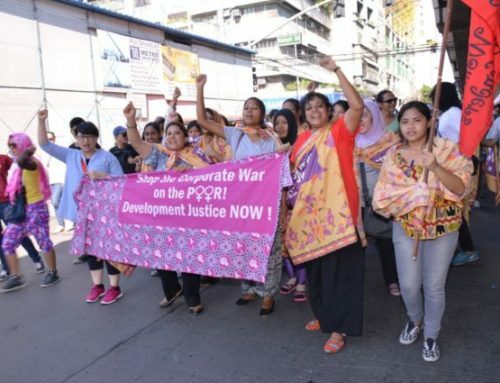 Alma believes that her involvement with APWLD has helped her navigate difficult times, particularly in facing military crackdown committed by the Duterte government. 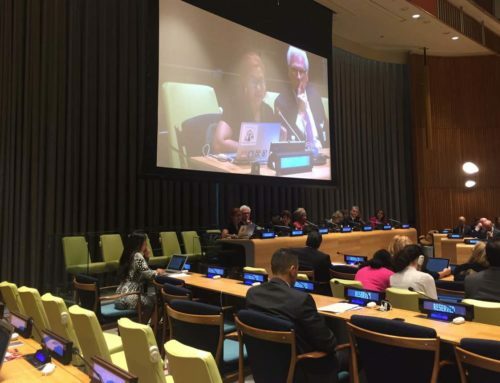 “APWLD has always been ready to amplify our voices regional and global levels especially at times when repression has become normal in the Philippines,” she said. Alma sees the need for a new pool of women lawyers and paralegals with a feminist framework who will be able to provide legal assistance to women human rights defenders. This is where she thinks APWLD should expand its Feminist Legal Theory & Practice Programme. Alma admits, back in New York, she felt hesitant to speak in English as she didn’t feel articulate enough. 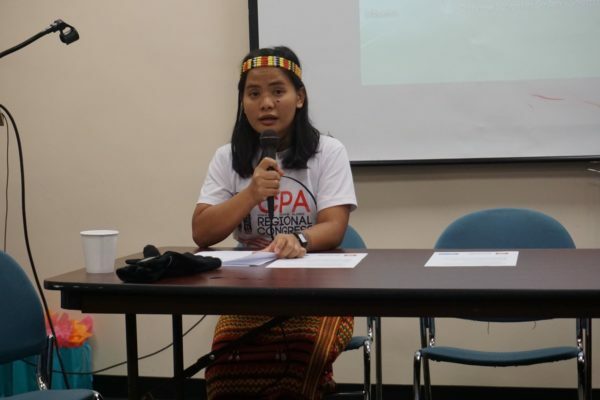 “With the help of APWLD in sharpening what I mean to say, I learned how to play with the language that they understood in UN spaces.” She knew she had adequate support from like-minded people in the movement who face the same struggles as she does. “The spirit of solidarity in the movement on the ground is as important as the solidarity in global and regional spaces. Knowing that we are not alone in making the world a better place always gives me the power to hang on and keep fighting,” says Alma as she ends this interview with us. This article is part of a series where we dig deeper into our members’ work highlighting the challenges and struggles they and their communities face, their successes, solidarity and movement building.